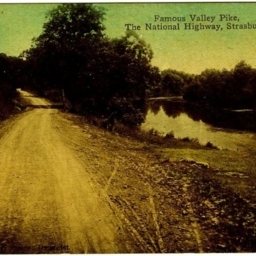 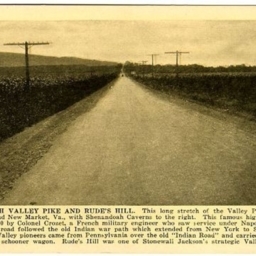 Postcard showing the stretch of the Valley Turnpike between Mt. 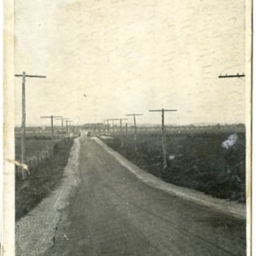 Jackson and New Makret near Rude's Hill. 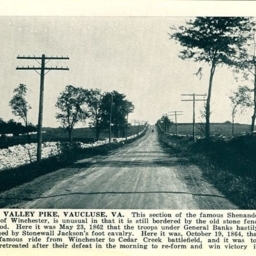 Shenandoah Valley Pike, North of New Market Va.
Postcard showing a view of the Valley Turnpike north of New Market Virginia. 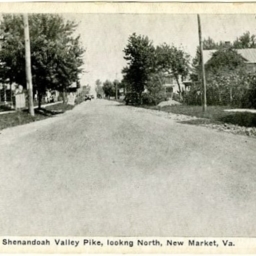 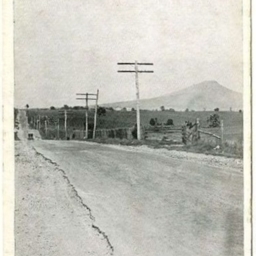 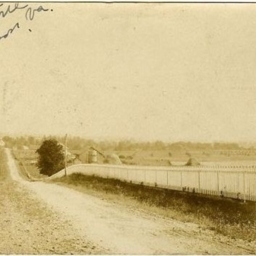 Shenandoah Valley Pike, looking North, New Market, Va.
Postcard showing the Valley Turnpike looking north near New Market Virginia. 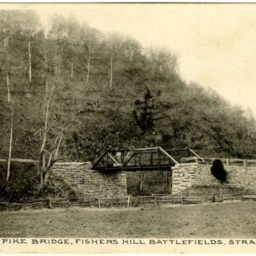 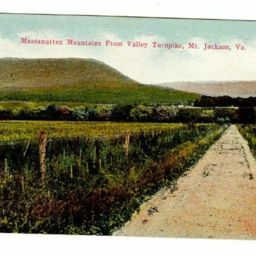 Postcard showing a view of the Valley Turnpike and the Blue Ridge Mountains. 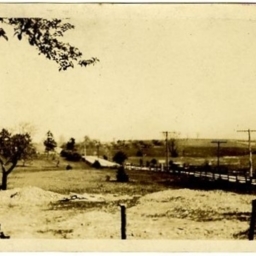 Taken from an area near New Market Virginia. 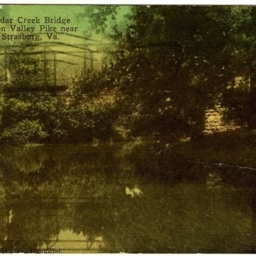 Cedar Creek Bridge on Valley Pike near Strasburg, Va.
Color postcard with a picture of the Route 11 bridge that crosses Cedar Creek near Strasburg Virginia.